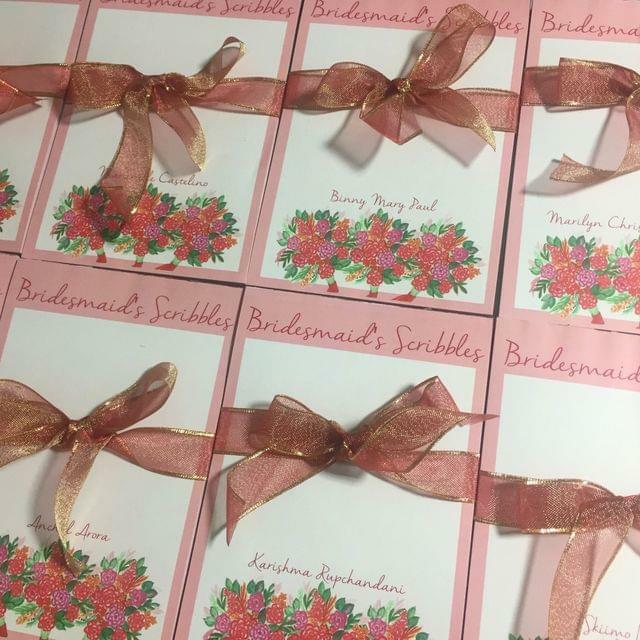 Gift this personalised Bridesmaid notepad to your girlfriends in order to ask them to be by your side on your big day. They can scribble away on this tear-off notepad and jot down all their to-do's and notes to help them plan your big day. A total of 50 sheets in one notepad. Please mention the name in the message box for personalisation. Dimensions: A5 size- 5.83" x 8.27"